They were built out of ill will. By Madeline Bilis·	 12/15/2015, 10:40 a.m.
Building a house is a massive project. From choosing a plot of land to tweaking designs, a great deal of thought goes into making sure your home is just the way you want it. For a few New Englanders, though, construction plans were infused with a bad attitude. They resolved to build “spite houses,” or homes put up just to make someone else angry. Some are oddly shaped to block views, and others are just plain tiny. One spite house in the region even originates from a feud dating back to the early 1700s. 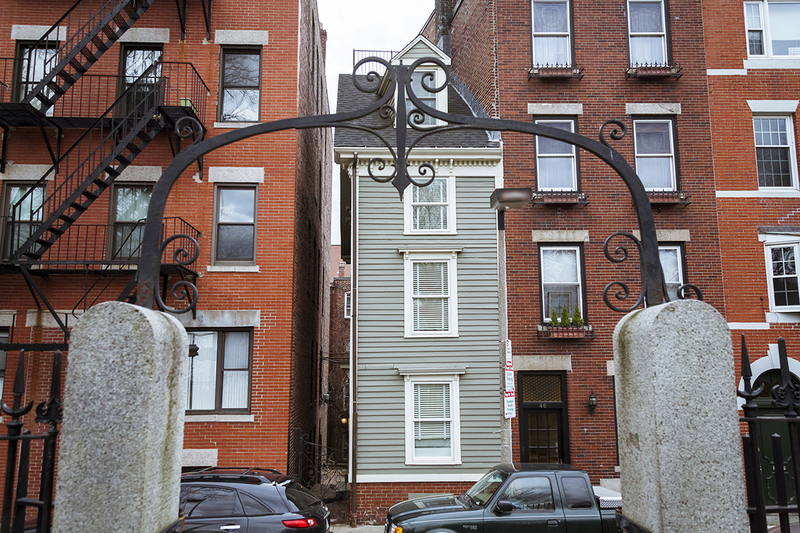 Below, find five spite houses built in New England. Tucked between two brick buildings in the North End lies the Skinny House. The four-story, pale green structure is about 10 feet wide and 30 feet long. The house at 44 Hull Street has no front door—it can only be entered through a side alley. According to legend, two brothers inherited a plot of land from their father. When one of the brothers returned from serving in the Civil War, he found that his other brother had built a large home on their shared land. 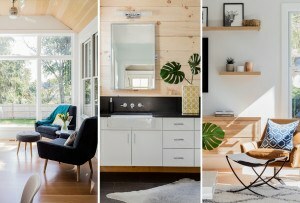 Miffed, he built the Skinny House, blocking sunlight and his brother’s views of the harbor. 2. O’Reilly Spite House, Cambridge, Mass. 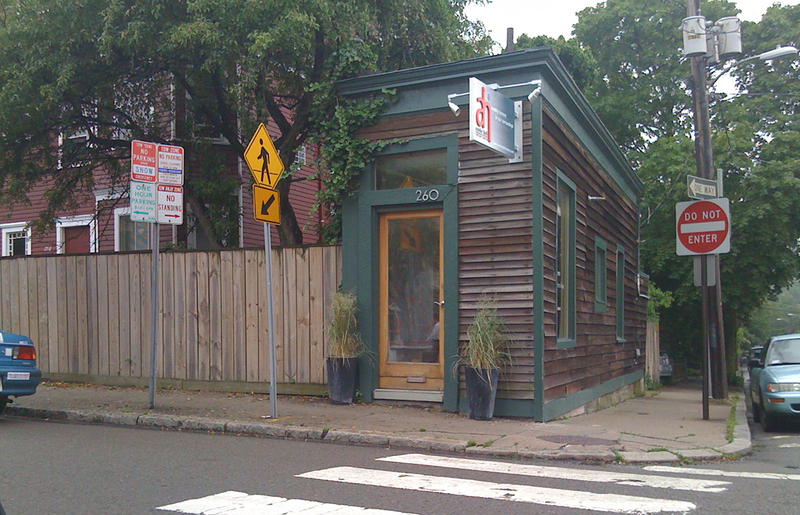 When Francis O’Reilly’s neighbor didn’t want to buy his parcel of land in West Cambridge, he was so angry that he constructed a tiny building on the plot in retaliation. Built in 1908, O’Reilly’s spite house measures eight feet wide and 37 feet long. 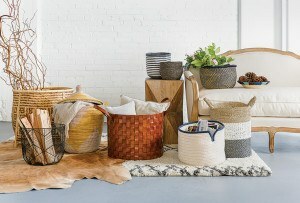 Today, Annie Hall Interiors Store inhabits the space at 260 Concord Street. 3. The Old Spite House, Marblehead, Mass. This house is thought to be one of the first spite houses in the country, though its origins are muddled. 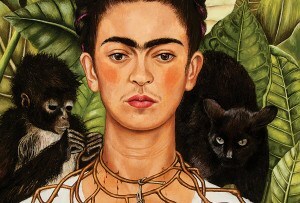 In another example of brotherly love, one legend says two brothers were embroiled in an argument over land. One decided to build his home despite his brother’s protests. 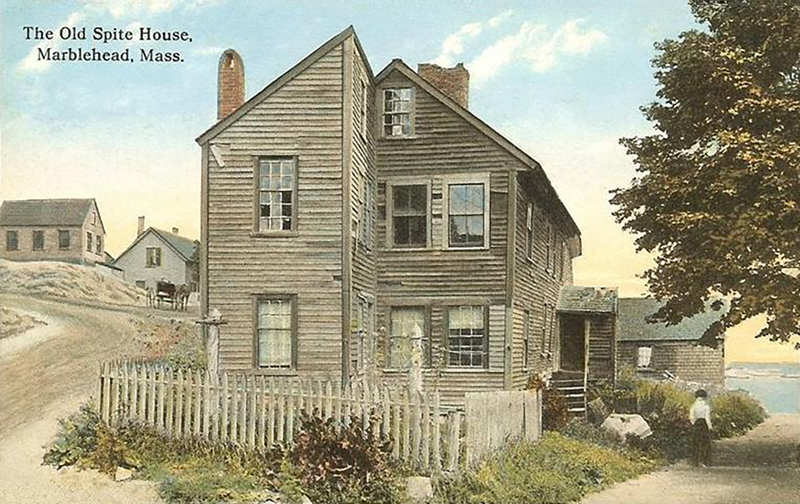 His stately, wooden home boasted views of Salem Sound. Some sources say that in 1716, Thomas Wood planned the other home, at almost 10 feet wide, to block his brother’s view of the sound. 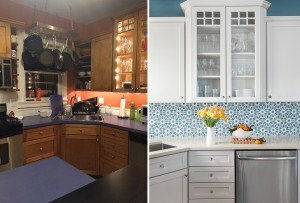 This time, it was a mother-son feud that built a house out of spite. In 1806 in Phippsburg, Maine, Thomas McCobb was convinced his mother and step brother were cheating him out of his inheritance when they took over the nicest mansion in Phippsburg. So, he made sure a new grand, Federal-style home loomed over theirs in revenge. 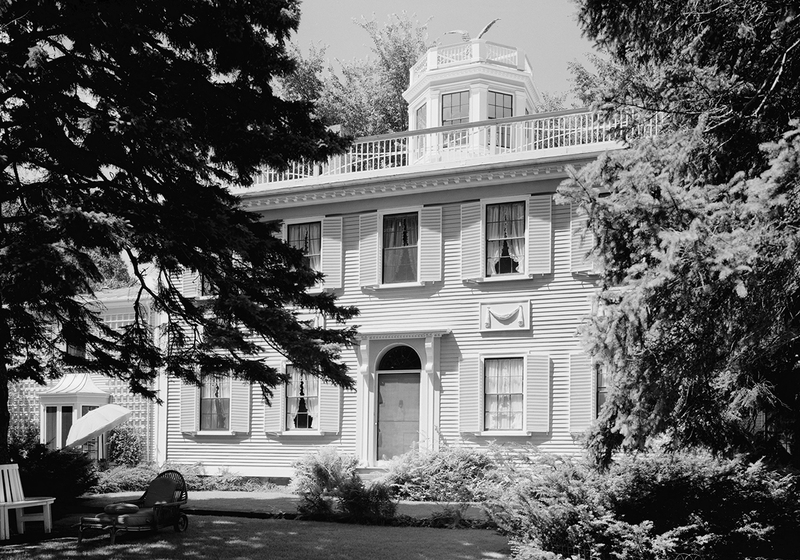 Years later, a man from Philadelphia discovered the mansion, and arranged for it to be moved to Rockport, Maine. 5. The Pink House, Newburyport, Mass. The romance of the decaying Newburyport Pink House on Plum Island was revived in a recent essay in the New York Times. Situated in what is now the Parker River National Wildlife Refuge, the lone house was built after a divorce. According to the piece, in 1925, a wife agreed to separate from her husband on the condition that he build her an exact replica of their current home. 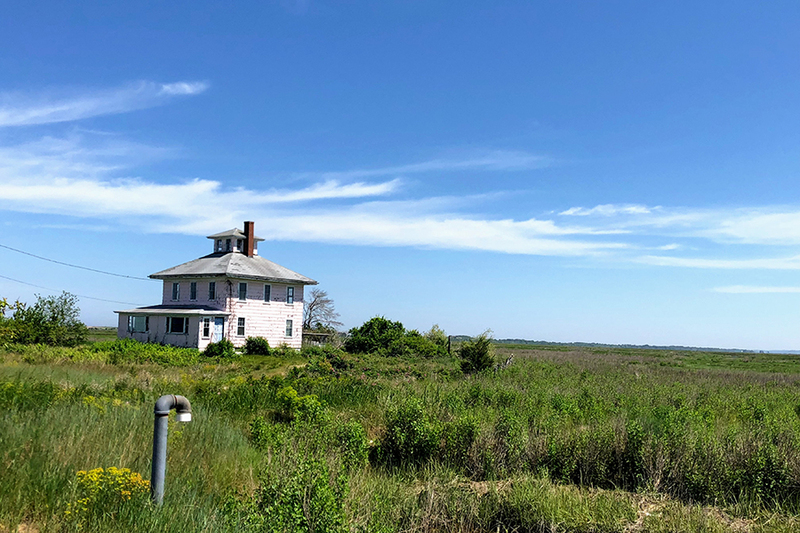 But she didn’t specify where it should be built, so the ex-husband chose a spot he thought would be the most unhappy—in the middle of a salt marsh, removed from fresh running water.